Daniel Gostein is an Austin-based percussionist completing a Music Studies degree at the University of Texas at Austin, where he has performance experience with the UT Symphony Orchestra, Wind Ensemble, Opera Orchestra, and New Music Ensemble. He was the runner-up at the UT Brass Wind and Percussion Concerto Competition in 2018, and is part of the percussion ensemble "Opposing Directions," which won third place at the 2018 PASIC Chamber Ensemble Competition. He will also be competing in the semifinals of the Southern California Marimba Competition in June 2019. 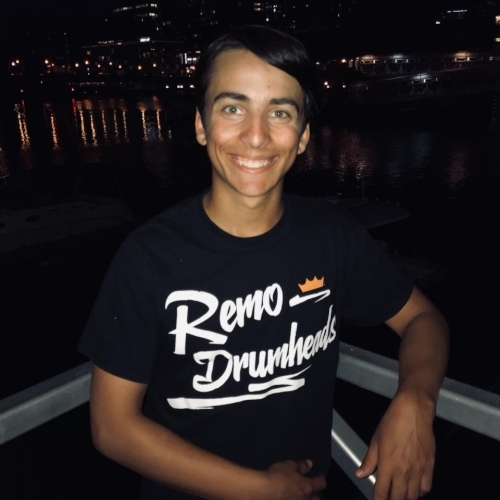 Daniel was part of the 2018 Boston Crusaders Front Ensemble, and is also active in teaching high school marching band in the Austin area.